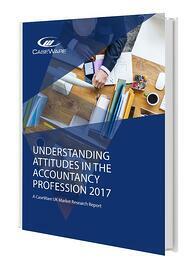 From shifts in industry regulations, to the Brexit referendum decision to leave the EU, it’s safe to say the accountancy profession had a turbulent 2016. With the implications of these changes beginning to take effect, they have exposed existing trends and frustrations in the profession, including a lack of skilled staff, mobile working and the growing generation gap. It’s crucial that decision makers in the accountancy sector begin to address these emerging trends to be able to retain staff and remain competitive by embracing cloud technology. This Market Research report provides insight into the core trends in staff attitudes that will have a significant impact on the industry this year. Download your copy of the report today, by filling out the form.